The weekend is in the moment. The hunt for the perfect pair of jeans is never ending, but former Calvin Klein designer Simon Spurr thinks he's hit on blue jeans gold with his new vintage wash denim line (the jeans are made in LA and inspired by thrift store finds). 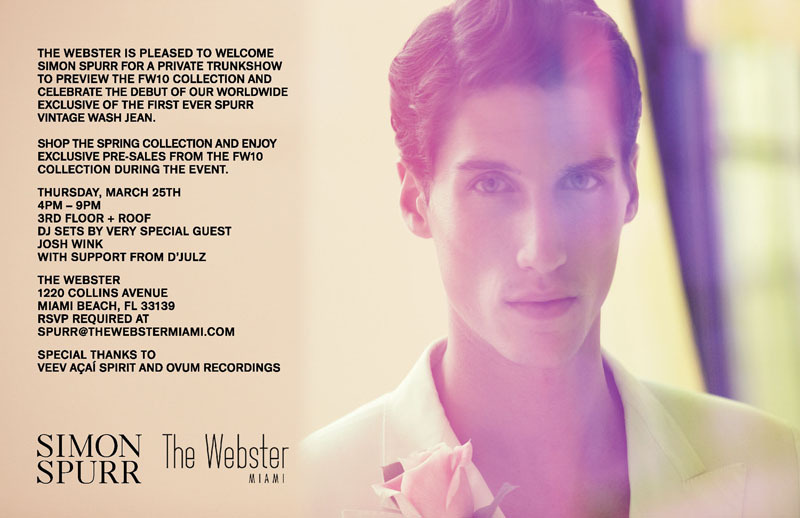 If you head to the Webster rooftop tonight, you'll also be privy to a DJ and free VeeV acai cocktails. Your favorite sommelier: that dude from that one place. Your second favorite: you. 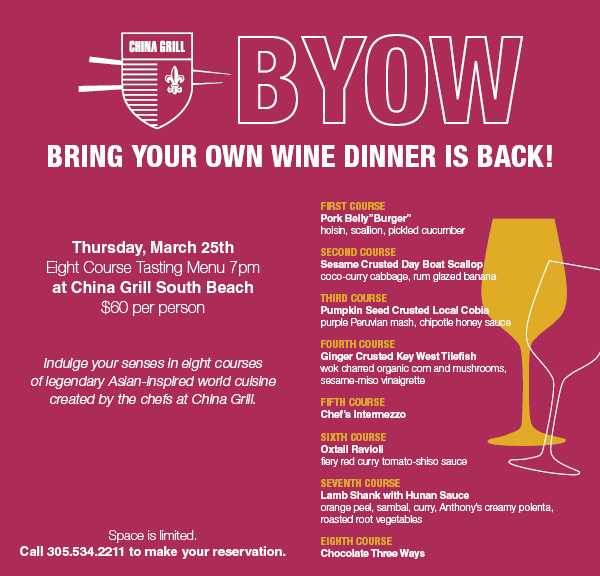 So you'll be pleased to hear that China Grill is letting you call the vino shots tonight with another rousing BYOW dinner. The $60 price tag nets you eight courses, including a pork belly burger, day boat scallop, oxtail ravioli, lamb shank and chocolate three ways. You know what they say: your twelfth sushi outpost is always your best. So we're expecting big things from the latest Sushi Maki, now open on the ground floor of the historic Fire Station building in Mary Brickell Village. Worth checking out at this branch: the mind-melding culinary mash-up known as sushi tacos: tacos stuffed with salmon and chili, or yellowtail, jalapeno and ginger. We're not usually one for all-day poolside blowouts hosted by talented DJs at posh hotels. Wait, yes we are. For this one, expect a mix of electro dance music, up-and-coming hip-hop stars and fellow jet-setters in aviators and bikinis. There'll also be some music-industry insiders, so bring your demo. Your favorite Chinese eatery inside the Gansevoort has just launched an admirably efficient "power hour," an exciting yet tiny window where marquee cocktails like the Lychee Martini, Shanghai Philippe and Midnight Mojito will run you just $6 (down from $15 to $20). As always, promptness is paramount.